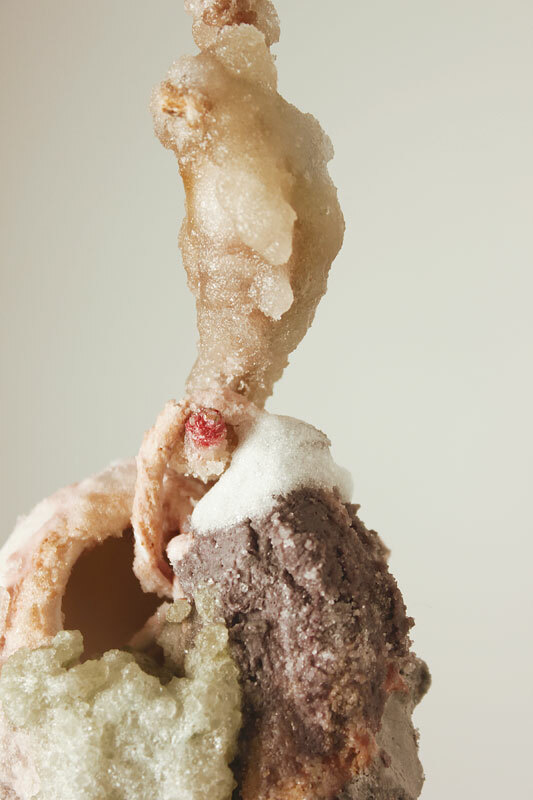 Porcelain, Wood Veneer, Flocking, Gemstones, Sugar-Encrusted Braided Rope, Crystallized Sugar and Plaster, 1' x 1' x 8', 2012. 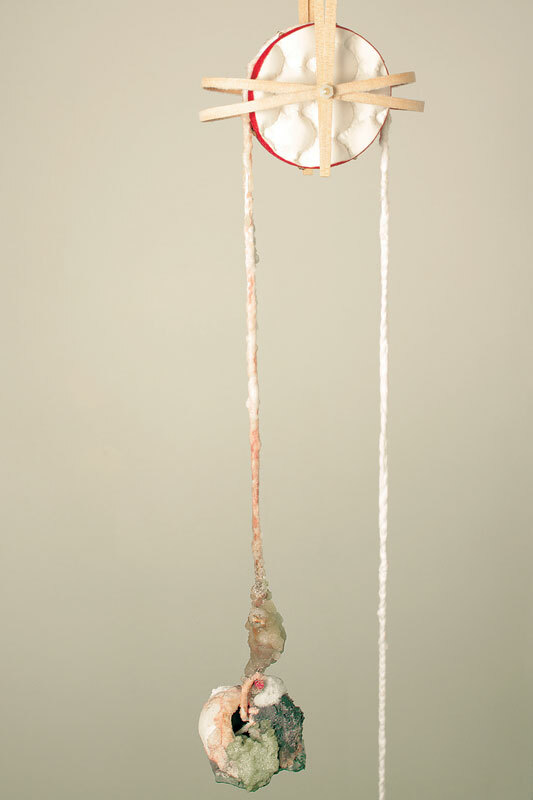 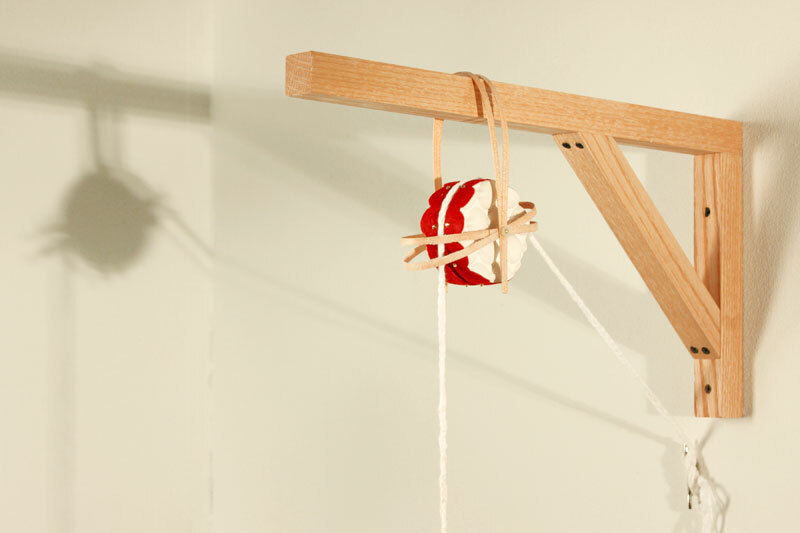 In this exploration of weight and balance, an adorned porcelain pulley bears the load of a grotesquely-encrusted geode. 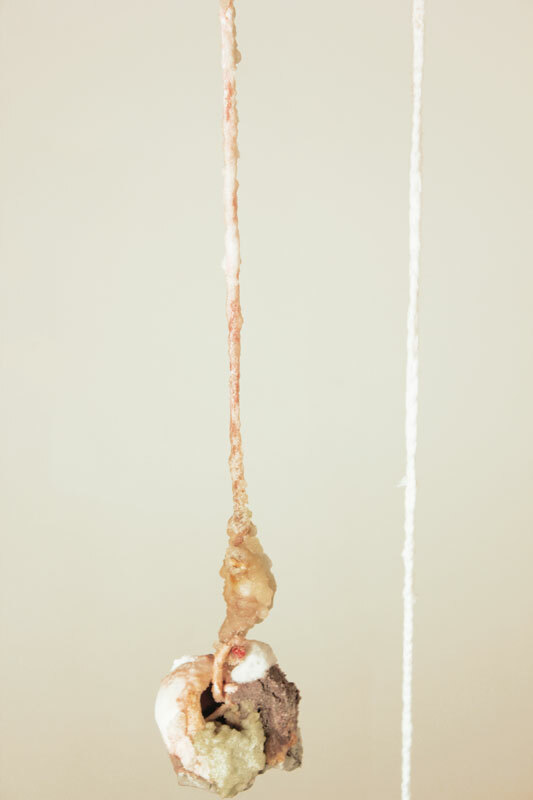 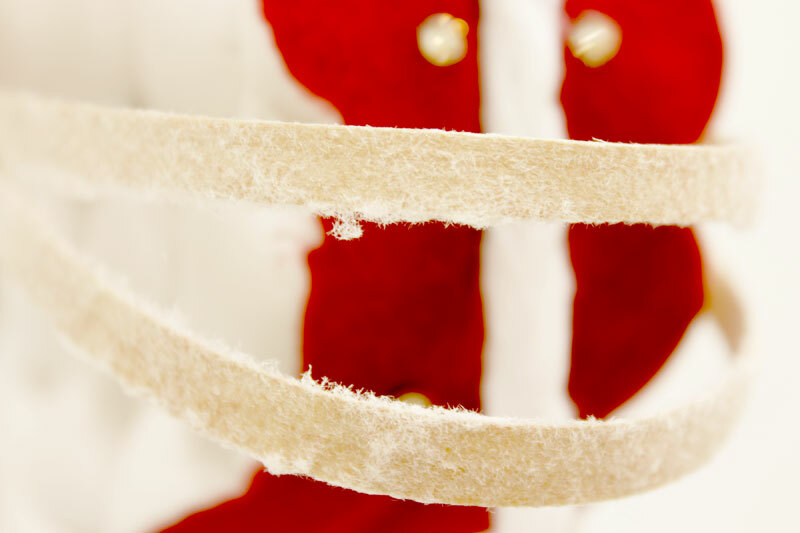 The hook and rope become coated with a stained glisten as the sugar crystals grow upward, slowly making their way toward machine.